Have you ever found yourself adding well over 5-10 items to your online shopping cart, then clicking the big red X at the top of the page? Well, you’re not alone. “Cart abandoners” are considered as lost revenue opportunities, though some marketers disagree. Often times, a customer may just need a little reminder about their items or a quick price comparison to make a confident purchase. Shoppers find an item that they like; they consider the price and then decide to make a purchase. However, once they get to the checkout page, they see something unexpected in the payment summary. There are several extra charges, like shipping costs added to the original price. This causes the total cost of the item to rise unexpectedly. This frustrates and angers many shoppers, causing them to abandon their shopping carts. One of the top reason for shopping cart abandonment is unexpected shipping costs. Closely tied to mandatory registration, complex or multi-stage checkouts are typically considered one of the reasons for cart abandonment. But in this case, it’s about the entire checkout process, which includes having to enter shipping and billing info, and the payment process as well. Another major reason why customers abandon shopping carts is that the website crashes or shows errors. In such cases, customers often don’t bother to go through the whole hassle of adding products to their carts and checking out again. You may have a secure payment gateway with no chance of your customers’ payment information being compromised. But if your shoppers don’t know that, they may hesitate to enter their card details and eventually abandon their carts. Concerns about payment security are one of the biggest reasons why people abandon their carts. Most shoppers abandon their carts because they don’t trust the site with their financial information. A great method of reminder can be through targeted display ads. These relevant and targeted messages are key to convincing customers to return to your site. Constant images of the items left in their shopping carts serve as reminders than can convert a hesitant shopper into a buyer. Making online forms user friendly by automatically pasting in validated data may help retain customers who would otherwise have found the process too tedious. The ability to enter in a partial address which then populates the entire form with other relevant information creates an easier checkout process. Furthermore, a multi-step checkout process is considered easier on the eye than forms that require every piece of information on one page. Additionally, sites that offer their shoppers the option to view their products and its details throughout each step of the checkout process ensures a secure and confident purchase from their customers. Hiding charges such as shipping until the point of checkout is a sure-fire way to increase cart abandonment rates. Some prices you should be upfront about include sales tax, shipping, processing fees and any other hidden charges. Make sure your website is secure. Is your website running on an HTTPS connection? It makes the consumer feel more comfortable at the checkout page. It’s an extra step. People are in a rush, and you want the procedure to be quick. They may have a fear of getting unwanted emails, text messages, or junk mail. In short, if your website doesn’t have a guest checkout option, you’re making a mistake and are almost guaranteed to have abandoned carts. 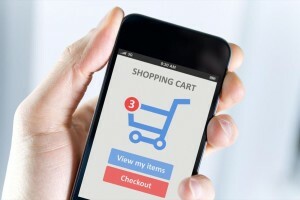 Regardless of your efforts, you may still experience cart abandonments. Don’t give up just because a customer abandoned their cart. If you have their information, reach out and send them a reminder. Remarketing helps you to target abandoned customers on different marketing channels. But, what if you can target abandoning customers on your site and prompt them with a customized campaign at the precise moment they try to leave your site? With an exit intent popup, you can do just that. Need help with your cart abandonment remarketing campaign? Click here to get in touch with us today!